Congratulations to our 2014 Outstanding Illustrator Award Winners – Amanda Erb and Tim Williams! You know the old saying – don’t judge a book by its cover, but at Mascot Books we know just how much work goes into those covers and the illustrations between them. So much goes into making a book AFTER the author has finished putting pen to paper, or fingers to a keyboard as it is in this day and age. We are thankful to be able to work with so many talented Illustrators throughout the year, which caused the task of picking two stand-out artists among the group to be a daunting one! Our illustrators really listen to and understand our authors’ viewpoints and can translate that into beautiful artwork that not only complements the words, but helps the reader cross into that land of mystery and wonder that drew us all to a love of reading before we could even say the words. Over half of the books we publish are children’s books, so this is a topic that is especially important to us as we continue to introduce children to engaging and educational characters to start their love of reading at an early age! Amanda Erb, based in Boston, MA, graduated from Ringling College of Art and Design in 2013 with a BFA with Honors in Illustration and has been one of our go-to illustrators ever since! 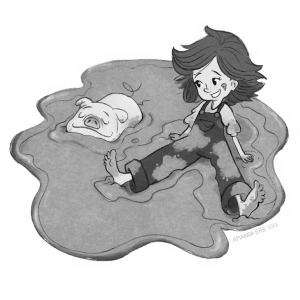 Amanda has worked on numerous children’s books with Mascot Books including A Whirlybird Ride by Teresa Zabierowski and Stinky Blinky by Troy Kent. This week we released her latest – Mr. Gobble Chops and Lady by Robert Burns, currently available in our online store. 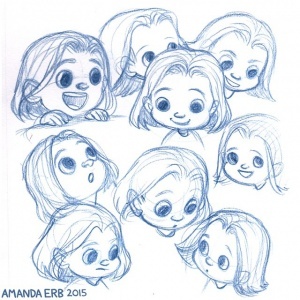 The creativity and energy that Amanda brings to her work shines through in each and every sketch. She truly does bring the story “to life”! 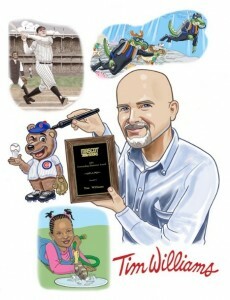 After winning a nationwide scholarship competition, Tim Williams graduated from The Art Institute of Atlanta. He spent time designing and illustrating billboards while employed by Ted Turner’s company – Turner Advertising. Tim started freelancing in 1984 and has since worked for ad agencies, corporations, magazines, publishers, and all 3 professional sports teams based in Atlanta. Tim has worked on a variety of projects for Mascot Books, specifically bringing his keen eye for detail to our Mascot A to Z series. 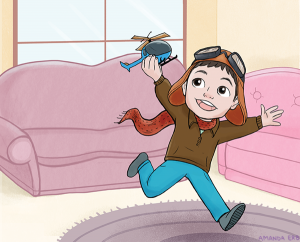 We want to thank Amanda and Tim for their contributions and congratulate them both on being Mascot Books 2014 Outstanding Illustrators!